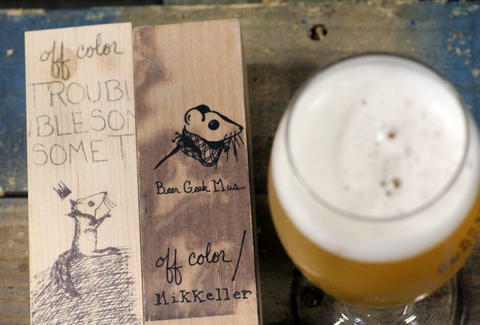 The brainchild of two local brewing heavyweights -- one from Goose Island, the other from Two Brothers -- Off Color Brewing is making a name for itself with innovative techniques and flavor profiles (hibiscus beer with tamarind and chamomile, anyone?) and a sardonic style. 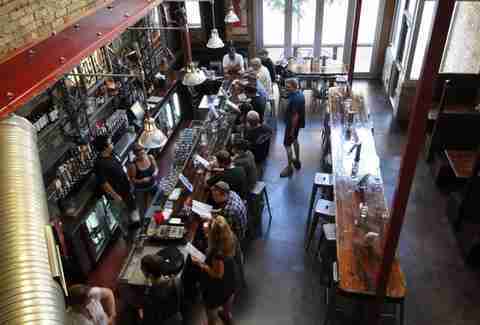 We’ve got the skinny on the launch of their first two year-round beers, along with every bar in Chicago where you can taste them, thus rendering you no longer skinny. 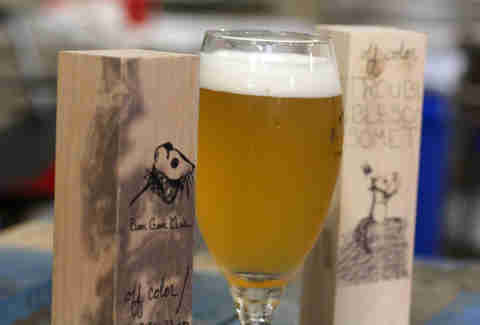 Troublesome is a gose, a German semi-tart wheat beer with coriander, the likes of which were first brewed in the 16th century. It earned its name after a long, drawn-out brewing process, combining an ordinary wheat beer with a sour, no-hops beer to create a super beer, sort of like when you combine peanut butter and chocolate. Except, well, beer. 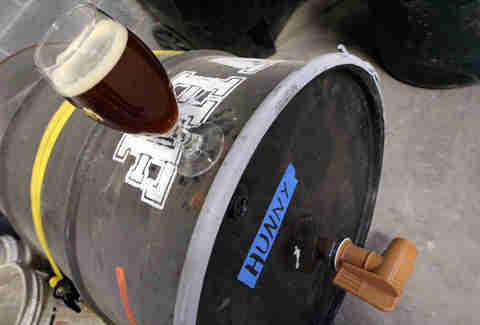 A Kottbusser honey beer with molasses and oats, Scurry is seen here sitting atop a 55gal drum of honey that could make Winnie the Pooh completely lose his mind. And his ability to scurry. Though, really, his gait is more of an amble. 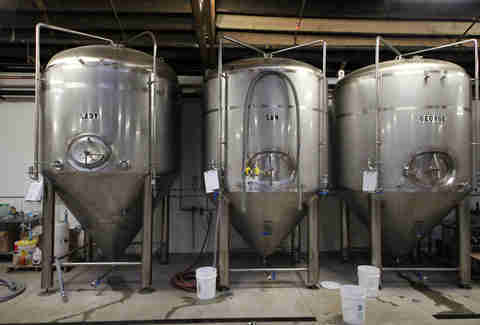 The beers are brewed at their 7500sqft warehouse in West Logan Square in housing tanks which're named after dead childhood pets, so pour one out for Waffles or Lady the next time you drink a pint. 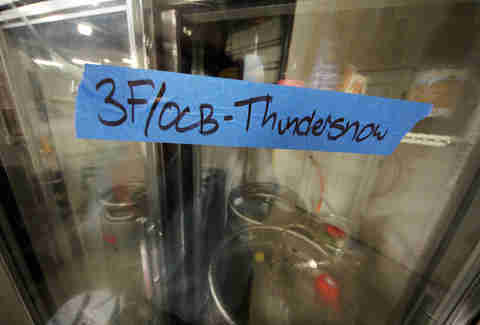 In addition to brewing on the premises, Off Color has collaborated with area breweries like Metropolitan (Smoked Bock and Pink Pils) and Haymarket (Half Bok), and have also made Tonnere Niege, which translates to "Thunder Snow", a Belgian golden ale/saison hybrid they did with Three Floyds. 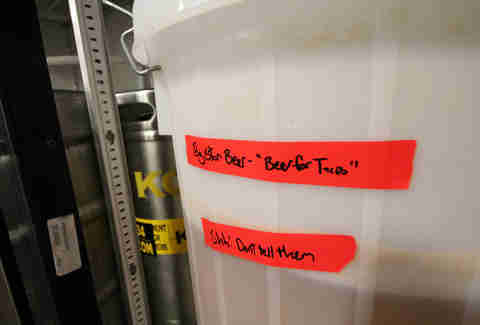 They’re also brewing this top-secret beer for Big Star, but you didn’t hear it from us, or read it... whatever, just shut up about it.